“Let’s Talk Climate: Expert Communications Strategies for the LA-Regional Health Community and Beyond” on November 2, 2017, 11:15am – 12pm PT. 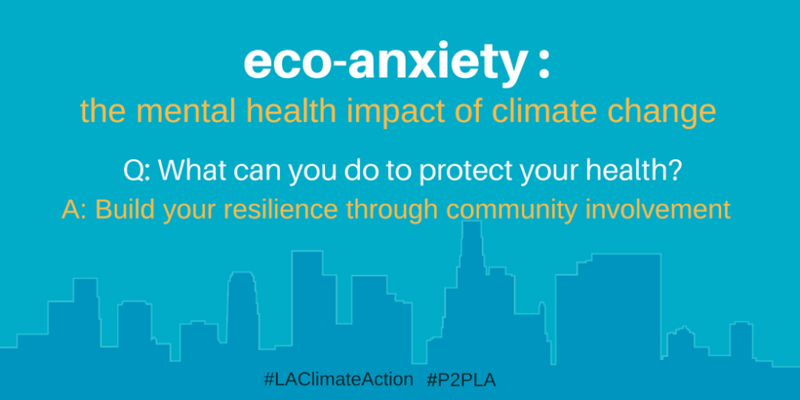 Climate Resolve’s Kristina von Hoffmann and ecoAmerica’s Dan Barry will cohost this webinar to address the health impacts of climate change in LA and nationwide. Participants will gain insight on research-based strategy for empowering a diverse audience on climate change and solutions and best practices for communications according to ecoAmerica’s “Let’s Talk Climate” and “15 Steps” guides. We hope you can join us for this important conversation. Here is the link to register.